I want to apologize to my readers for the unexpected delay in posting. I had planned to review this film shortly after my discussion of Part 4 of “Les Vampires,” based on my memory of a partial viewing I had at New York’s Museum of Modern Art around the year 2000. I don’t usually do that, but my understanding was that prints were so rare that I wasn’t likely to get another viewing. But, when I started researching to write the article, I found that there is an incomplete (but longer than what I saw before) version on the Internet! Obviously, I had to take the time to look at it and update my notes. 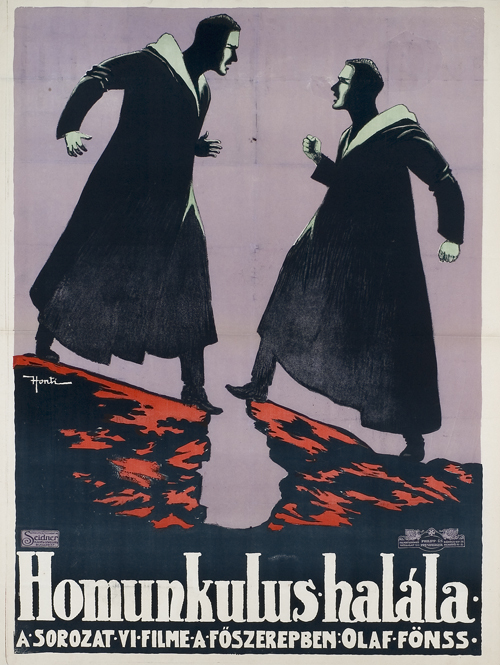 “Homunculus” was a serial released in Germany at the height of the First World War, and it’s a pretty remarkable movie. Its lead actor, the Dane Olaf Fønss, was reputedly paid more for this film than any actor in Germany had received so far. It fully realizes the technical and artistic potential of cinema’s achievements at this time, despite the fact that it was produced during a period of extreme budget limitations on European film making. It also happens to be a ripping good story. The story is that a group of scientists, led by a Professor Ortmann, produce a living human child using scientific processes – a “homunculus.” This creature is human in every way, except that he cannot experience love. He does experience all other emotions, however, apparently including considerable frustration that he cannot experience love. The professor raises him as his son, not telling him who and what he is, until he reaches the age of 25, when he discovers the truth for himself. He now learns that women have a propensity for loving him, although he cannot return this feeling. This results in various tragic situations, wherein he drives young women to suicide. His frustration with the situation causes him to declare a war against humanity, vowing to spread fear and terror. He goes to a Middle Eastern society and is able to use “superhuman abilities” to cure the local Prince, but soon the locals decide that he must be in league with the devil and pursue him. There is a woman in love with him here, as well, but there is also a dog that gets killed by the crowd, which upsets him rather a lot for a man who doesn’t feel love. When he returns to Germany, he becomes involved with a large company on its board of directors, due once again to his remarkable skill. He uses his influence to create increasingly oppressive working conditions for the laborers. Then, at night, he dresses as a worker and rouses the workers to revolt with stirring speeches against the bosses. Thus, he creates the conditions for increasing chaos and strife. Along the way, a young worker girl finds out who he is and what he is doing, and even though she opposes him, she falls in love with him as well. According to the German Wikipedia entry, he plans to use her to breed a new race of humans, although this didn’t happen in either version I saw. I also only know the ending from reading about it: apparently Dr. Ortmann creates another Homunculus to destroy him. After this one grows up (another 22 years), there is a climactic clash in the mountains, in which Homunculus is destroyed and an avalanche crushes his leagues of human followers. 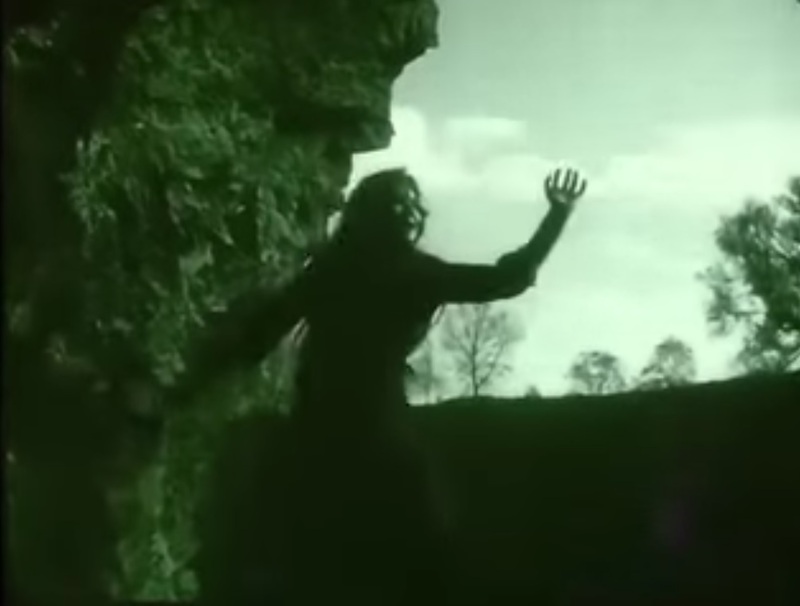 The creation sequence for “Homunculus” may have been more influential, in fact, on later versions of “Frankenstein” than was the 1910 Edison version. 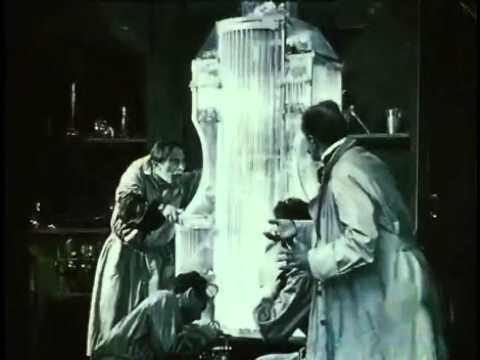 This one shows classic white-coated scientists in a laboratory with bubbling beakers and electrical equipment. The actual device they take the baby out of looks sort of like a glass art deco statue – but it also is slightly reminiscent of the coiled devices you see scattered around the 1931 lab. Interestingly, both versions of the movie I have seen frequently flashback to the creation sequence – but I don’t know for certain whether these versions have been re-edited from the original serial. Homunculus’s look is also somewhat prescient of F.W. 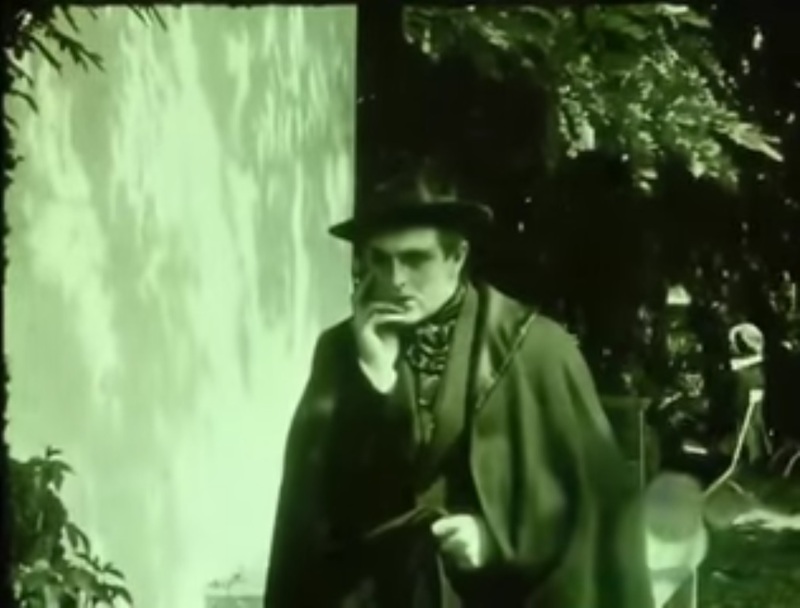 Murnau’s Mephistopheles, although he also reminds me of Sarek, from “Star Trek.” He wears a cape a lot of the time, like later vampires would, at least after Bela Lugosi. I think Fønss does an excellent job with the role; though perhaps his performance will be too overwrought for some tastes, I find the intensity and violence he displays to be fairly compelling, and appropriate for a villain in an Expressionist horror film. The thing that really stood out to me when I watched this years ago is the way it seems to predict Adolf Hitler: a man who simultaneously whips up class resentment and encourages the repression that causes it, who seems to be incapable of love and declares war against the world, yet who has the ability to charm followers (and women) and gain access to the wheels of power. Certain aspects of Homunculus’s slogans seem to prefigure fascist hardline positions: “The globe will tremble under the wrath of the people.” Today, I think what this really reflects is the horror of the First World War and the degree to which two years of trench warfare was traumatizing the German people and its culture and politics, even at this time. If you really come right down to it, there are as many differences between Homunculus and Hitler as there are similarities – it’s just that a brutal and charismatic leader seemed more possible in Germany by this time than ever before, and the filmmakers have tapped into that current. Run Time: 6 hrs (total, 6 episodes), just over an hour available. You can watch as much of it as I’ve seen for free: here. Stills from Homunculus always looked intriguing, so I’m glad something from it survived. I’ve definitely seen it described as an early example of German Expressionism (along with the Student of Prague and Der Golem) so it’s good you went out on that limb. 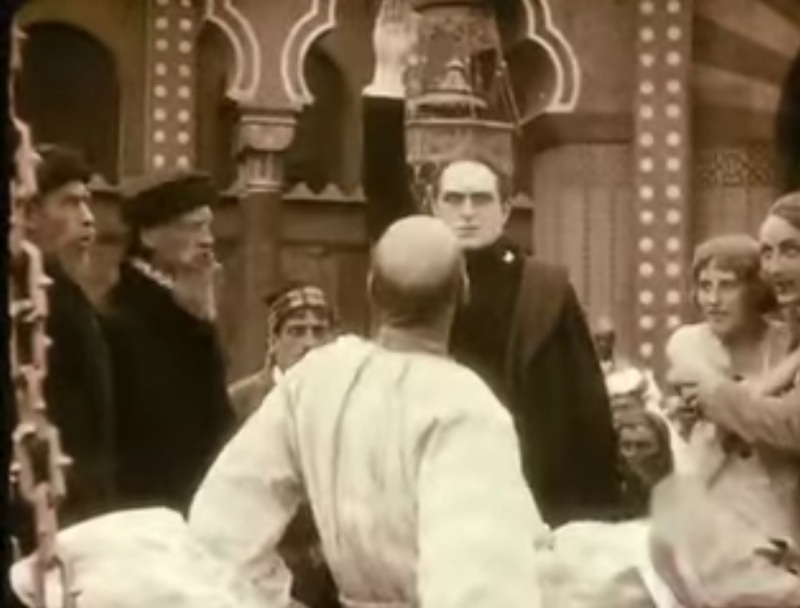 😉 It might’ve been Lotte Eisner’s famed “The Haunted Screen” that mentioned it, maybe “From Caligari to Hitler” too. I believe you’re right – although I haven’t read either one, I’ve seen them cited in more recent sources. Can definitely recommend them! 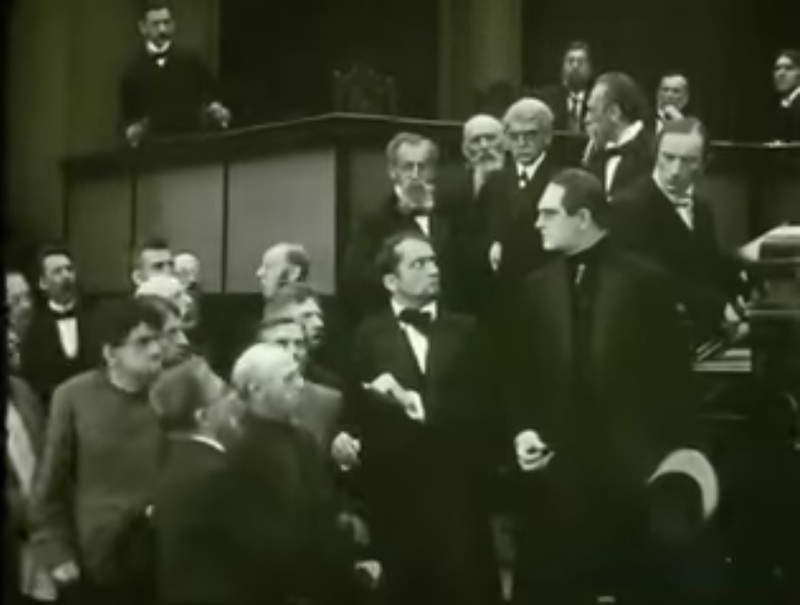 I think the thesis of “From Caligari to Hitler” falls under more scrutiny nowadays (I find it intriguing myself) but it’s still very interesting and thought-provoking.